KOLKATA: In a year when India should have actually fired a second rocket to the moon, after Chandrayaan-1, space scientists will instead send a mission to Mars in November that, if successful, will propel India into the elite club of four—the US, Russia, Europe and Japan. The announcement was made on Friday by J N Goswami, director of the Physical Research Laboratory in Ahmedabad and the principal scientist of Chandrayaan-1, at the Indian Science Congress (ISC). Magalayaan, as India's Mars mission has been christened, will look for signs of life and reasons why the red planet lost its atmosphere. "Chandrayaan-2 (an India-Russia collaboration), which was to take off in 2013, has been delayed by the failure of Russian Mars mission Phobos-Grunt. We have, therefore, decided to go ahead with our Mars mission and hope to set off for the red planet on November 26-27," Goswami said. Former President APJ Abdul Kalam, who inaugurated the ISC's children's science congress, underlined the importance of the project to India's superpower ambitions. "Mars is an international property. We have to undertake the mission to stake our claim on the planet," he said. The first Chinese mission to Mars, Yinghuo-1, failed last year. 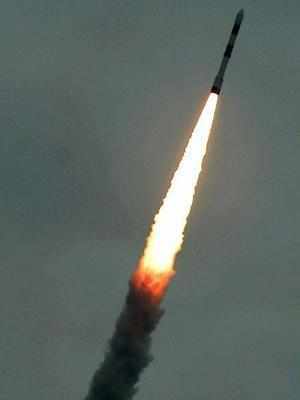 Unlike Chandrayaaan-2, Mangalayaan is entirely an Indian mission. Isro's trusted warhorse, the PSLV-XL, will launch the Mars explorer. "We are gearing up for an October-November launch. If we miss this slot then the next one will come only in 2018," Goswami said, adding the prototype payloads were ready and the actual payloads would arrive in the next couple of months. The Rs 470-crore Mars mission will not only demonstrate India's capability to launch a spacecraft that has to travel 55 million km to 400 million km (depending on the planets' orbital positions) over 299 days, five instruments on board will probe Mars' atmosphere, records of water on the planet's surface and look for methane hotspots. Space scientists expect a launch date for Chandrayaan-2 only in 2016 as Russian Space Research Institute chief Lev Zelyony has indicated the mission may be postponed by three years to review Phobos-Grunt's failure. Since GSLV will launch Chandrayaan-2 it will carry more instruments, including a lander from Russia. The rover and orbiter will, however, be made indigenously. "After the Mars mission and Chandrayaan-2, India will go for an asteroid orbit and comet flyby in 2018," said Goswami.